Residential Development at Pearse Street – Duggan Brothers Ltd.
Anthony Reddy & Associates, Dublin. 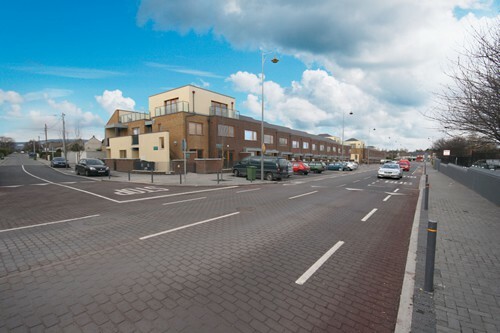 This Project for Dun-Laoghaire - Rathdown County Council, consisted of the phased demolition of 24 existing housing units in 6 blocks and the phased construction of 52 housing units in 3 terraces, along with an extensive civil engineering package. 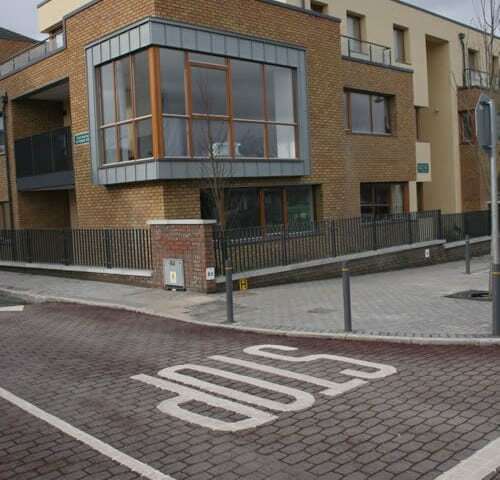 The project included the realignment of approx 400m of a busy Dublin street including 4 intersections onto adjoining streets within a densely populated suburban community. The works included the realignment of the road and the relocation and upgrading of all foul, storm, fibre optic, electrical and gas underground services whilst maintaining live all existing services until the newly installed services were fully commissioned. The works were executed on a phased basis allowing for continuous movement of traffic & pedestrians. The project required extensive planning and co-ordination with all service providers and their contractors including the ESB, Bord Gais, NTL, DLRCC water and drainage divisions.